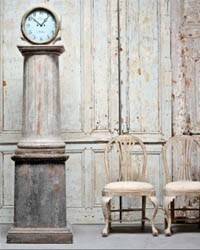 La Place is an emporium of beautifully sourced antiques from the 17th century through to the Contemporary. The business was created by Paula and Stephen Parkinson, the original creators of Augustus Brandt Antiques. They have been featured in ELLE Decoration Country, Cote Ouest and the Times Style magazine, all of which have admired their style and creativity and endorsed the look they create. La Place work with some of the worlds leading Interior Designers and Decorators, as well as private residences. LA PLACE ANTIQUES to provide own terms and conditions. Consumer Contracts Regulations apply.